Call-to-Action buttons are like prompt signals that help target audiences to follow their particular action. A business may have various reasons for asking a person to take the action and it is the same for your customers as well. Some of the reasons why a person may click on the call button are for learning more about the available products and services that are available, for seizing an offer or incentive or for signing up for a particular information. It can also convert a website visitor into a lead. Such are the benefits of integrating call-to-action buttons on one’s website layout. 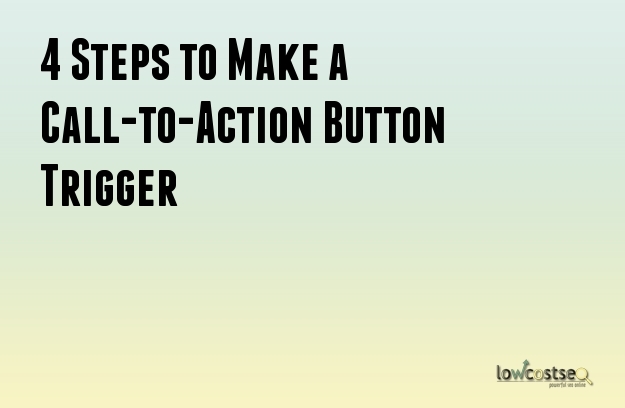 However, not all CTA buttons trigger the same actions as you may expect. Some may not even trigger you any responses. It’s like a conversion tester that determines the conversion rate of your website page service. But then why does some website CTAs convert and some don’t? That’s because not all them are created the same. So that explains why some perform better over others. It’s like a mystery. So to understand whether your CTA button is clickable or not? You can understand this only when you can learn how to make your CTA button conversion count. Like for example, did you know that 55 percent of visitors spend fewer than 15 seconds on the website? Have you taken that into account when designing your site’s CTA button? Guess not. Actionable words speak louder when it comes to making your website convert. That’s because sometimes, the viewer might need to get motivated. This will only happen when they feel that they will be benefitting by taking a particular action. Here are some sample copies of the good and the bad CTA texts that you need to take a look at.